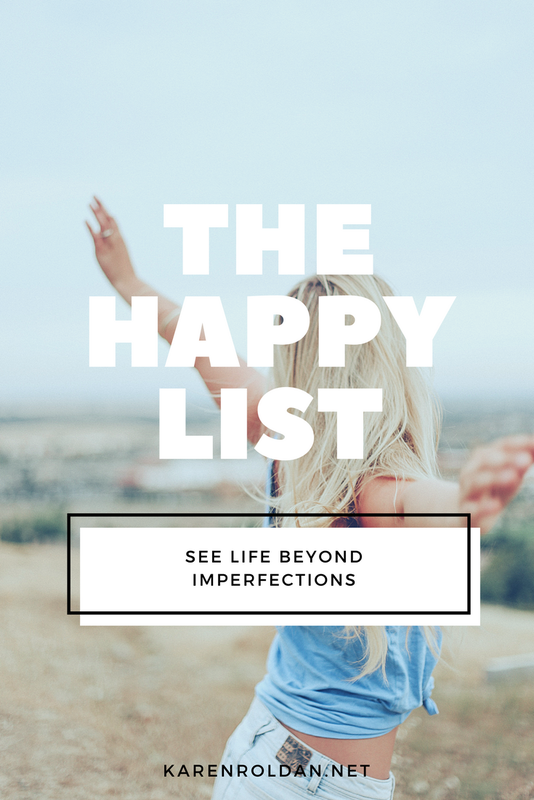 As you have noticed, I started doing a different approach in my Happy List series. The idea is still the same, but I now include a bit more about my life. Not just the general stuff. If you are new here, you might want to read this blog post so you'll get an idea about me. I thought 2017 is a good year to start reconnecting with other people. I admit, though, that sometimes I get too lazy to go out and meet my friends! Hahaha. It's not everyday that we are happy, but we still need to see life beyond the imperfections. etter start the year right! Everything looks so peaceful. My cousins like to swim at our place, and I’m just there taking pictures. Haha. I'm one of those people who try to avoid family reunions. Nothing tragic has happened before, though! But, I promise you there are several good reasons why. One of that is I want to dodge their questions about what happened between me and my ex-boyfriend. Anyway, I thought that this could also be the best time to reconnect with them after being MIA for year(s). I'm always on a trip when they plan to see each other. It's my 2nd month already. Time indeed flies so fast! To be honest, I'm enjoying my work! I no longer need to do more admin tasks, and it feels really good to have a break from looking after my team members. Work is stressful at times, but it's a good kind of stress. Moving to a new company is one of the best decisions I made last year. No more stolen foods (and condiments. LOL). I love kids so much that I would like to look after them even for a day. In fact, I wanted to babysit if given the chance!Our White Cross visit is on April 8. It's going to be a fun day with kids from age 0 to 6 years old. If you want to join, please let me know! Just comment below or send me a message on Facebook. I'll definitely ask the host if she can add more people. I only bought my glasses on an impulse. I said I'm going to stop doing it. But, it's unavoidable! My eye grade is consistent since high school. It makes me happy knowing that my eyes didn't get worse. My friends and I will fly to Cebu on the 25th! Yay! We will stay there for 4 days and we're going to stay and tour the south of Cebu.Many people recommended visiting north but I don't think we can squeeze it in our schedule.My vacation leaves for this trip are unpaid. Ouch. You know that thing where you write the happy things in a post it note and leave it in a jar? My boyfriend and I are filling it with notes of good things that happened, and we'll read everything in new year! Neither has an idea what each one wrote which makes it more exciting. I'm serious on this one. This will be my 2nd attempt, I think. I failed last year; I'm not even halfway through. Hahaha. Few months from now is my co-worker's wedding. This celebration was so sudden, and it was my first time to attend such an event.This is different from a bridal shower, though. It's more of a surprise to the bride, and the groom and bride's friends set this up. A lot of my close friends know how much I want it. It has been my target since I'm in college. Unfortunately, I was unlucky! Until they contacted me a few weeks back.All is well, but I had to decline it. No more what ifs, since I already know what is. I didn't regret my choice though! You know what people always say. Don't burn bridges!I still hear a lot of news about my previous company because my friends are still working there. Though I only see them now and then (sometimes I visit the office), I'm still happy that we still get in touch with each other. My friend invited me to their band's, Lions & Acrobats, gig in Makati. There is an entrance fee of Php200 in Saguijo Cafe + Bar, and I think 5 bands played that night. Make sure to keep your ticket as you can get one free drink. I didn't pay for anything because of my friend. I cannot wait to start guest posting! This is the only invitation that I accepted. I was invited to do sponsored posts too, but I had to decline the offer because I was asked to not write any disclaimer. The first month of 2017 was full of unexpected happenings! It wasn't good to me, but I made it better!